Hope you are all trying to get down to Brighton next weekend (13th Sept) to Back in Time Live 2003. The retro event of the year, no less. As ever, my girlfriend, Debbie and myself will venture forth from PeeknPoke towers to Brighton and hope to have a jolly day out. We will be arriving the Friday, so if you fancy a few pints the day before the event and a good old chat, then most of the Back in Time crew and myself will be having a few beers at a pub called The Prodigal. Its going to be another rip roaring event (this time captured on film for release on DVD sometime) and the game playing throughout the day seemed like a heavy starter. There will be lots of C64's playing classic games (see complete list of the high score games below) and even some MAME on PC's. 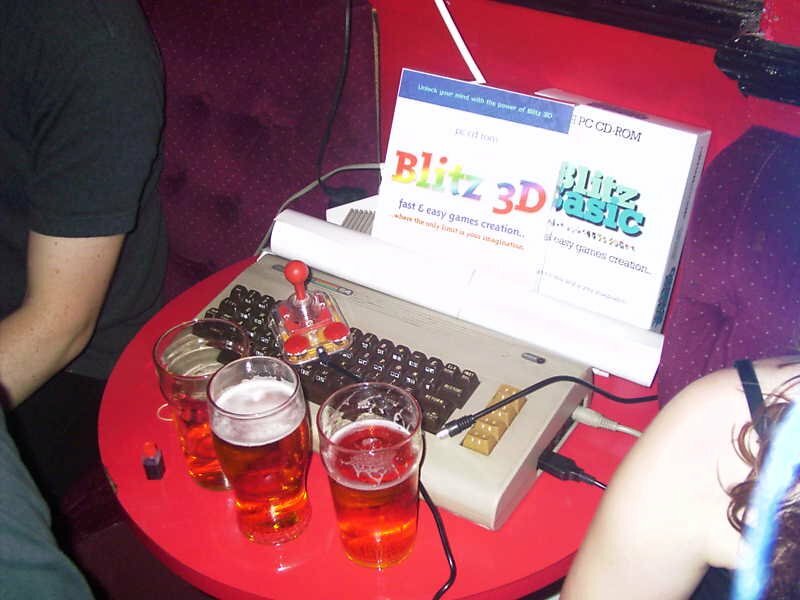 Fancy getting a few beers and playing games all day just like the old days? (but without the beer!) Fancy seeing the concert at night (but with beer!) Then come on, book now. A photo collection/guides from the old PeeknPoke website forf Back in Time LIVE events has now been produced HERE. and grab the complete trailers for Back in Time 2003 including new Windows media player versions HERE. (TBC = To Be Confirmed, though they've said they wanted to come). Steve Leese - novelist "Back in Time 3"
one four-player game on the Commodore scene stand.